I have been blessed with many followers from the humble beginnings of my blog just six months ago. I was delighted on the first publication of my blog that I had five people that “liked” it. That was inspiring enough to write a second. I am very grateful for your support in these few months and the fact that you are interested enough to like, comment and follow. I find that inspiring and gratifying. So thank you, all you fabulous bloggers out there for making the connection. So, in light of the holiday season, I wanted to give something back to you by having a giveaway. Since we are nearing the shortest day of the year and approaching “Longer Days”, I decided to have the drawing on December 21st at 11:11 PM. The phrase “Longer Days” was coined by the husband, having lived in Alaska for a few years, where the shortest day of daylight was about seven hours and 15 minutes. And, we lived in Southeast Alaska where we got more rain than snow so daylight would disappear under a cover of ominous dark clouds. I am so looking forward to “Longer Days” in the coming weeks. Besides, then we won’t have to leave the house at 4 PM in order to take our dog to the park for his daily run. This getting dark so early messes with my internal clock. We come back from the park, it’s totally dark and feels three hours later. My body wants to curl up in my comfy bed and hibernate. With that said . . . we are also approaching a New Year when everyone, well, most everyone, makes a New Year’s Resolution, which we all know won’t make it to the end of the year, let alone the month. I, personally, don’t like to follow the crowds but instead I like to choose a WORD as my intention for the year. A resolution sounds too demanding. Last year my word was SHIFT. I have a strong inclination to use that word again but need some inspiration. So, I decided to have a contest with a give-away prize to the person that comes up with the best inspirational WORD for the coming year. So what’s the prize, you ask? 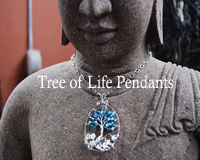 I design Tree of Life Pendants and I would like to give one to the winner, or winners if there is a tie. Answer this question . . . What would your inspirational WORD be for the coming year? And in one sentence, why? I will announce the winner on December 21st, Winter Solstice and Longer Days Celebration, at 11:11 PM. Disclaimer: Tree of Life Pendants are a one-of-a-kind design, handmade by me, made for you in the colors of your choice, gift wrapped and shipped. You will be notified via email that you have won. Prize will be mailed via USPO. First a note to your readers, then I’ll come back with my New Year’s word suggestion. The pendants are beautiful. And even if you don’t win one, the price is very reasonable, too. Cool holiday gift. And Grace didn’t pay me a cent to say this, or send me free pendants. I paid for mine (four of them, customized) the old fashioned way, via PayPal. Thank you Dennis. Appreciate it. Hope your recipients love their TOL Pendants. SOLITUDE, because that’s where you find what you’ve been missing of yourself. If I win, give my prize to a disadvantaged child of your choice. 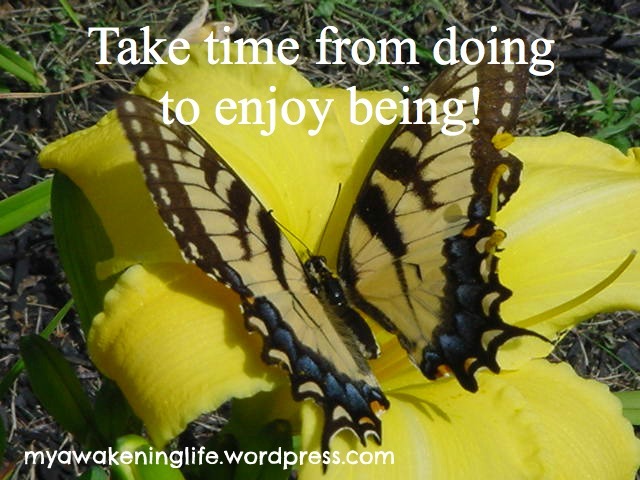 I REBLOGGED THIS POST FROM GRACE AT My Awakening Life FOR A FEW REASONS: (1) Her idea is cool. I’ve seen lots of blog participation promotions, and didn’t like most of them. This one calls upon people to think, reflect, be creative, and look forward in a very simple, useful way, and offers a nice contest. (2) Her pendants are cool. (3) Her blog is cool … and I am especially grateful that it was her post — https://myawakeninglife.com/2012/12/15/1016/ — about the m3c Flag (Mourning and Memorial for Murdered Children Flag) that sent it flying around the world. Seriously. Folks in Ecuador and Panama, as well as all around the States, and I’m sure there will be more. You did it Grace. Hubby give her a big hug for being a blogger. Hope. Hope that all pain will heal. Hope that light and good prevails over darkness. Hope that we all unite for peace , love and forgiveness. Hope that the innocent who perished are now in heaven where they will always find happiness. Hope that we all walk in love and faith. Oops, to many sentences. Sorry got carried away. Merry Christmas to you and your family.